A stay at this Midtown hotel places you steps from Macy's and a 5-minute walk from Madison Square Garden. 5th Avenue and Bryant Park are also within half a mile (1 km). This hotel doesn't skimp on freebies - guests receive free buffet breakfast and free WiFi. Traveling on business? Take advantage of the business center and free Internet in public areas. 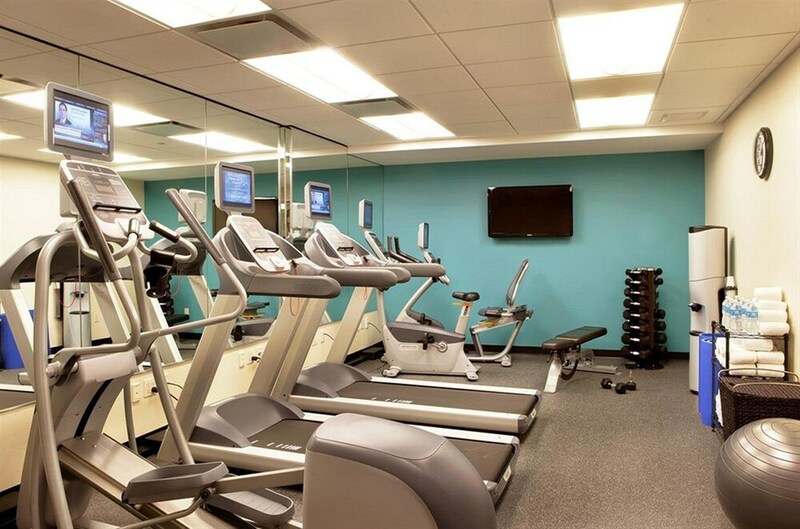 Enjoy the fitness center and conveniences like dry cleaning and concierge services. The 135 guestrooms offer free WiFi and free wired Internet, flat-screen TVs with satellite channels, and coffee/tea makers. Other amenities include free newspapers, free local calls, and hair dryers. WiFi and wired Internet are free in public spaces. You'll find a business center on site. Free breakfast is available. A fitness center, tour/ticket assistance, and multilingual staff are also featured at the business-friendly Holiday Inn Express Manhattan Times Square South. This 3-star New York hotel is smoke free. Holiday Inn Express Manhattan Times Square South offers 135 air-conditioned accommodations with safes and complimentary newspapers. Flat-screen televisions come with premium satellite channels and pay movies. Bathrooms include showers and hair dryers. This New York hotel provides complimentary wired and wireless Internet access. Business-friendly amenities include desks and phones; free local calls are provided (restrictions may apply). Additionally, rooms include coffee/tea makers and irons/ironing boards. A nightly turndown service is provided and housekeeping is offered daily.